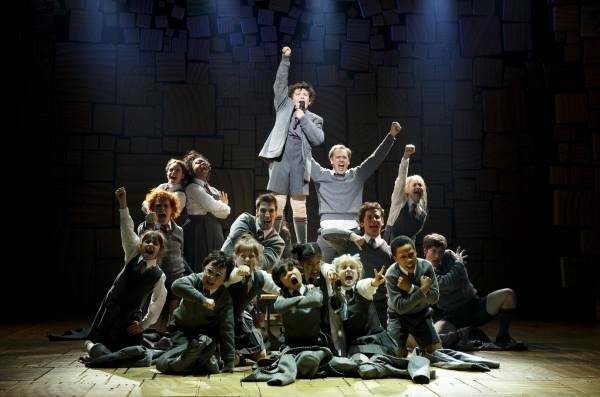 Last Thursday, Roald Dahl’s classic children’s novel Matilda officially opened its run on Broadway. While it’s been in previews for a month already, the musical debuts on the Great White Way with hefty expectations to uphold. The novel celebrates its 25th anniversary this month, and in those 25 years, has captured the imagination of every quiet, bookish little girl whose idea of a super power is to be able to read every book in the library. Charlotte’s Web – Singing pigs, giant spiderwebs on stage, a showstopping finale of the song “Some Pig” – what isn’t to love? This tearjerker of a story deserves an update for stage since it hasn’t been interpreted since the better-to-forget 2006 film with Dakota Fanning and Julia Roberts as the voice of Charlotte. The Lion, the Witch and the Wardrobe – Though it’s been done to death on film, the larger-than-life location would translate so beautifully to the stage, particular through some crafty magic and illusions of set tricks. Plus, I’ve always wanted to know what kind of singing voice Aslan has. I’m guessing a deep baritone or bass. Amelia Bedelia – The overly-logical housekeeper would be a great central character in a fun, over-the-top stage version. The book series debuted in the early 60s, so a modern update set to song would be a great way to revive this children’s classic. Alice in Wonderland – Though there was a musical version back in the 1880s that’s been revived a handful of times (none since 1927), this is a classic story that’s gotten plenty of screen time with with Johnny Depp movie from 2010. But a new version of the story with new music and exciting set designs a la Mary Poppins could mean a whole new spin on the classic story. Danny the Champion of the World – Speaking of Roald Dahl, this lesser known novel is nonetheless once of my favorites, with gypsy caravans and one of the most heartfelt stories Dahl has ever penned, this one is rife with musical material. A stage version may not be appropriate for all audiences though, with some loftier themes and adult choices, but Danny and his beloved father would be a fantastic duo at the heart of the show. What classic children’s novels would you like to see turned into a musical?